Reflecive reading is an important habit for early readers. This printable bookmark prompts students to reflect on what they are reading. Try printing it out on cardstock and laminating, so that students can reuse their bookmarks again and again, either by writing directly on them or by attaching sticky notes to them. Use with lesson plan Readers Record Their Thinking. 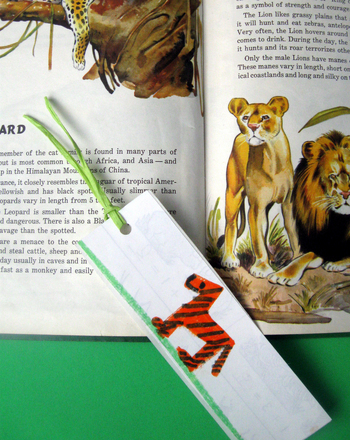 Kids can demonstrate their understanding of what they are reading with this printable bookmark. This printable bookmark encourages students to reflect on what they are reading, as they are reading. This printable bookmark gives readers an open-ended platform with which to make notes about what they are reading. Make your kids giggle this Christmas with these silly elf notes. Print out these notes from Santa to leave by the cookie plate, on your kid's bulletin board, or in a stocking. 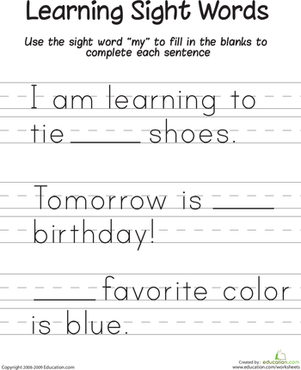 Help your child learn the sight word "my" with this printable phonics worksheet.